Section 1: Correct vs. potentially "incorrect"
Whether to do s' or s's, I might ignore... I think that might be a controversial subject, based on what some teachers have taught. Best case, both could be correct depending on which English you use, but who knows? I myself still like s's for singularity , and maybe s' for plurals, though. ... but you can't go wrong with "of (noun to be possessive)", can you? Anyway, a quick google = https://www.ef.edu/english-resources/english-grammar/forming-possessive/ = This shows you can do both. This topic is here to document what people make common mistakes with in English. That it should preferably be limited to the forums, but could include other places too. Mainly for entertainment purposes. But could also be informational. So if you have any, do post them! Fortunately, I was able to upload the image offsite. 2. "Quick editing" posts messes up the edit line. But if you refresh the page, it returns to normal. Reeeally not sure where to put this. 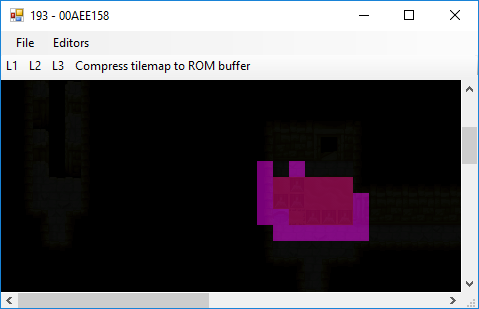 But I want some map editor examples.... so that I can figure out gsmagic, I guess. If a particular houseguest makes it to a certain point, s/he'll start doing talk shows by gathering the people around to interview the nominees. If a particular houseguest makes it to a certain point, there will be a story time routine. Could be an old guy like Kraden. Event: There could be a series of events that could lead to a house guest self-evicting. (Probably female, since it often feels like they are twice as emotional than guys.) Self-eviction(s) should occur pretty early in the game, though. Likewise, other forms of evictions like rule-breaking could be considered. Twist: A voice may talk in the main character's(?) head instructing them what to do for a week. (Stanley Parable reference.) Whether these to-dos are good or bad, who knows? One of my ideas for this game idea (Not saying whether a game will be in the works.) , is that there could be an Achievements system. In a perfect world where you could get a perfect score, it could be to have had a final two with all houseguests, never been voted against, and get all the Jury votes. (And if you can pick a character, to do the same with each.) But realistically, I'm sure that would take an extremely long time to accomplish... Oh, and did I mention this is currently just an idea for now? I went through the space manager code... and I get that it is mostly a simple thing with a lot of code... but a small portion of it confuses me. For those who don't know, here are details of the space manager functions. list_num is the total number of entries in Atrius's free space table. orgaizeList - pretty self-explanatory, but is where my question(s) are. findSpace is simple, looks for the first entry in the free space list that has enough size that is needed. confirmSpace checks if the entire section has 00s or not. (Depending on a flag) (It may also check if the freeSpace being used is all in freeSpace, but that's probably pointless with the findSpace function.) - It is obvious that this helps reduce overwritting any hex editor related edits... but otherwise is not required to have. claimSpace is similar to freeSpace, except that it removes the freeSpace. My question is with organizeList. The bolded sections.... Do those ever happen? And if so how? Otherwise, is it free to remove without problems? The bottom section looks like it removes an entry for when two addresses next to each other match. And after this code is basically the stuff that frees the old free space table from the ROM and puts the updated free space table back into the ROM. So you know how you can never assign which PCs and which Items give you which class types? Imagine having a series of items that give you all the same classes, it would be a waste to make separate classes for each, wouldn't it? Three notable tables have been included that were not editable in Atrius's editor. Oh yeah, almost forgot... This only works for GS2. ... (U) version if not any of the others. @??? in Forge Editor = Not sure if we knew what it was. But if we did, I forgot.... So yeah. EDIT: It just dawned on me that it might determine what the dialogue displayed is! If that's the case, then it would be forgotten knowledge that has resurfaced. "Fatal error: Call to undefined function Downloads_GetStarsByPrecent() in /home/content/a/t/r/atriusv/html/forum/Sources/Downloads.php on line 5275"
It just came to my attention that there is a typo. If you call Downloads_GetStarsByPercent() instead, would it work? Not going to spend too much time on this idea at the moment, but the basics I have thought about. Things could be too straight-forward and boring? There are many tiers of weapons/equipment... in which you must be at that level or more to wear... 1, 10, 20, 30, 40, 50, 60, 70, 75, 80, 85, 90, 92.... etc. The higher the tier, the harder it is to obtain (Hopefully)... so level 1 bronze equipment could be a common drop for low tier enemies and such... Where as a level 92 could be a very rare boss drop (from a repeatable boss) that you also have to manipulate in some (rather expensive?) ways to be able to use (Maybe something like the Forge in Yallam? And/or something similar to whatever RS does? ), plus, they'd degrade. --- Er... idea has been cut short for now, but could add more later. - As a small disclaimer, I never said that this was any more than an idea, so whether a hack would eventually be made is unknown, and not likely at /this/ current moment. myInput = "R4, R3, L3, L2, L1, R1, L1, R2, R3, L5, L5, R4, L4, R2, R4, L3, R3, L3, R3, R4, R2, L1, R2, L3, L2, L1, R3, R5, L1, L4, R2, L4, R3, R1, R2, L5, R2, L189, R5, L5, R52, R3, L1, R4, R5, R1, R4, L1, L3, R2, L2, L3, R4, R3, L2, L5, R4, R5, L2, R2, L1, L3, R3, L4, R4, R5, L1, L1, R3, L5, L2, R76, R2, R2, L1, L3, R189, L3, L4, L1, L3, R5, R4, L1, R1, L1, L1, R2, L4, R2, L5, L5, L5, R2, L4, L5, R4, R4, R5, L5, R3, L1, L3, L1, L1, L3, L4, R5, L3, R5, R3, R3, L5, L5, R3, R4, L3, R3, R1, R3, R2, R2, L1, R1, L3, L3, L3, L1, R2, L1, R4, R4, L1, L1, R3, R3, R4, R1, L5, L2, R2, R3, R2, L3, R4, L5, R1, R4, R5, R4, L4, R1, L3, R1, R3, L2, L3, R1, L2, R3, L3, L1, L3, R4, L4, L5, R3, R5, R4, R1, L2, R3, R5, L5, L4, L1, L1"
print c - c + c - c #Remove the sign. print d #Difference between L and R turns. Edit: Replaced if block with dictionary check, and swapped regex with the more simplified. Himp = Hillary + Trump - A play on The Stanley Parable, which this idea should be about. (No current plans to build the game yet, but we can at least call it a written creative work at the minimum. When the game starts, the first question asked is probably what gender you are. (Possibly could be based on which bathroom you go through, if not wanting to be direct? But also because it might make it more interesting.) If you pick male, you're Trump, if you pick female, you are Hillary. 2. Trump gets Hillary in jail, but then must compete against Bernie Sanders. 4. Trump releases his tax returns, then loses to Hillary.. etc. 2. She doesn't apologize, and ends up in jail. Could probably include the three debates, the questions asked there? ... and a number of response choices. If anyone has any ideas of what to add, be my guest. 2 = Atrius GS editor = Edits data in the ROM itself. 3 = His editor became open-sourced, a few people may have modded it, but nothing much happened with it since... And then Atrius quit the editor / gave the forums to Kain. 6 = I eventually start doing the Editor in C# with Map Editor as main form. And that editor featured fast decompression/compression of text with char tables re-written (as is supposed to be.) for best compression. 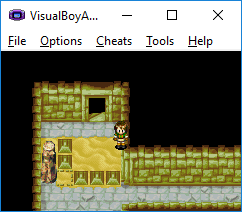 7 = Someone started on Open Golden Sun project, but I can't remember where this falls in the timeline. -Code from a GBA emulator dissembler could be grabbed and modified... One would have to have labels for all functions and branch locations, as well as any data pointers, etc. -Further conversion/option to export as a C-related code? FYI: In my opinion, the way I would have it done... It would be unlikely for the program (when done) to take longer than 3 seconds to export everything in a format I'd find desirable. (Most likely a second or less.) - And that's even if 100% of everything is decompressed. -Possibility to compile both arm/thumb and C-related code? But yeah, this topic should be for any discussion on anyone's attempt to at least make /some/ progress on such an idea to reinvent the editor any way they want, even if trivial. It will build a history, either way.